Synopsis: When Allie’s best friend dares their group to play a game in a cemetery—something she calls “witching”—Allie never expects what it might mean for her. When she plays, she doesn’t just find bodies, she summons their souls. But one soul wants more than Allie is willing to give. 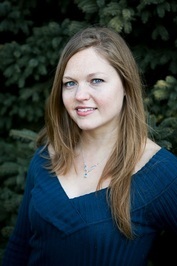 Our MC is Allie Billings who has avoided her closest friends since the death of her mother, trying to reconnect she joins them on a dare to the local cemetery for a night of witching. Allie doesn’t believe in witching but after this night her opinion changes when she becomes bonded to a evil spirit by summoning her soul. The plot was engaging as we see Allie do everything she possibly can to learn more about what is happening but she soon finds out her only hope could be from her new neighbour Cody Burkhart, her guardian who is also needing to work out his role between Allie and the spirit, Katerina that has bonded to her. They both end up working against a full moon deadline which could mean a sacrifice by the end of it. I really liked Allie and Cody as characters, they have both felt loss and were able to bond over this and their slow building romance didn’t feel forced but came naturally which I enjoyed; it also wasn’t at the forefront of the story. The side characters were each written well, the freaky souls included. I don’t tend to read ghost books, I’ve never enjoyed them but I liked S.D Grimm’s writing style and her entertaining and at time freaky storyline. It was a fast paced read with a few twists that kept things enjoyable. Overall, Summoner kept me riveted from the beginning and I couldn’t wait to see what would happen; the characters were written well and the plot was intriguing. I will definitely read more books by this author. 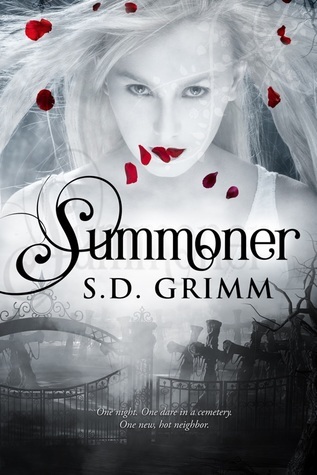 Thank you to Entangled Teen via Netgalley for the opportunity to read and review Summoner. I didn't read horror until recently either (I mean real scary stuff, not just the paranormal) so I get it. Glad you enjoyed this one. I'll have to check it out. I enjoy ghost stories, and this sounds like a pretty goo one. I'm glad to hear there are twists. I love that there are twists and of course this is the perfect time for ghost stories!